Easy to Start Online Business Ideas That Will Make You Grow! The age of internet of things is fast approaching and businesses are in a heated battle for online dominance. As companies make a beeline towards the internet, which is still adding millions of users every month, there is a huge demand for unique and novel business marketing ideas that are designed for the internet and meant to grab maximum eyeballs from the users. Handymen are required for all kinds of purposes from cleaning to installing appliances, taking care of faulty plumbing etc. Handy which is one of the market leaders in apps for hiring handymen and started operations in 2012. Handymen are required in every country around the world, and it’s a great idea if you are looking to launch your own startup in your country. You will of course have to decide on things like revenue models and marketplaces and interfaces for bringing handymen on board and start serving customers. Want to invest in a startup without the hassle of micromanaging everything on your own, then its best to consider angel funding or seed funding startup and let them make money from you. As an investor you will still retain decision making powers on the company’s board, which depends upon the amount you invest. Drones are becoming the rage around the world with Vloggers, filmmakers and even enthusiasts so you can jump on the bandwagon by providing Drone rental services. Drones, especially good ones are also expensive and out of reach for many filmmakers and bloggers on a shoestring budget, so you can consider making an initial investment by purchasing a few drones and then renting them out. Food delivery is also a lucrative business, witnessing high growth around the world. Startups involved in food delivery are managing to make money in a competitive environment and the time is right for you to consider it for your own start up. It may sound a bit conventional but the fact is that tea is the second most popular beverage in the world after water and its quickly becoming popular in markets. While there is and endless array of brands and e-tailers catering to women’s personal care there are still comparatively few players in the market for men which serves as a good startup opportunity. Travelling is gaining popularity around the world, and has become more affordable and convenient than before. Startups in the travel business are also seeing good growth. 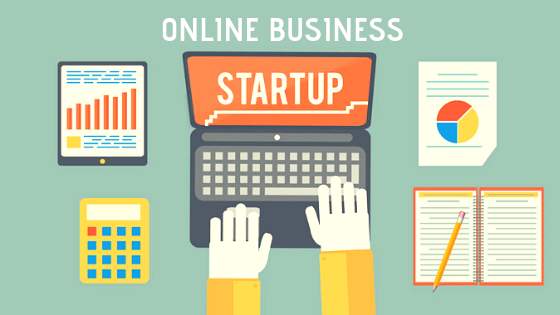 We have discuss here some great startup ideas that you can take inspiration from. We hope this article has been informative and will prove useful to you. Have an amazing day! Next: Next post: How a Financial Planner Can Help You?